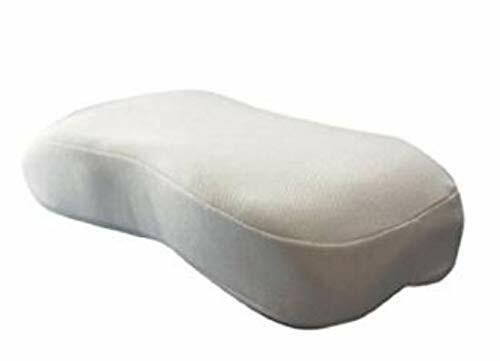 SLEEPRIGHT SIDE SLEEPING PILLOW The best side sleeping pillow design available, the SleepRight Side Sleeping Pillow is recommended by medical professionals to improve spinal alignment between the neck and back, and to help reduce TMJ tension and snoring. The SleepRight Pillow is made from premium Visco-elastic memory foam. This pressure-relieving material is sensitive to body temperature and weight. As you rest, this Sleepright memory foam pillow will softly conform to your contours by taking an impression of your anatomy. The memory foam will automatically adjust to your body temperature and weight as your body stabilizes in its resting place. When equalization between body weight and the elasticity of the memory foam is achieved, your spinal column will be ideally aligned. This greatly minimizes the unwanted side effects of pressure points, which is a benefit unavailable in regular cushions. 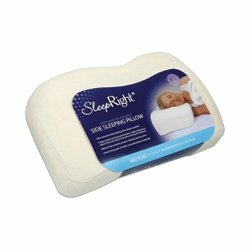 This Sleep Right Splintek Memory Foam Side Sleeping Pillow is 24"x12"x4" in size. The SleepRight Side Sleeping Pillow is the most advanced side sleeping design available. It was developed to help reduce head, neck and jaw tension. The SleepRight Side Sleeping Pillow is used by thousands of medical professionals worldwide. It comes standard with a machine washable, hypoallergenic, cotton velour cover." Note: Pillows are not returnable once removed from sealed packaging. All sales are final on the SleepRight Side Sleeping Pillow. No returns. No exchanges. Provides restful sleep with maximum support and superior comfort for the head, neck and shoulders. Made from premium viscoelastic memory foam. Pressure-relieving memory foam is sensitive to body temperature and weight, easily conforming to user. See return policy Pillows are not returnable if opened and/or used. Splintek Sleepright Side Sleeping Pillow - Small 24" X 12" X 3"
Splintek Sleepright Side Sleeping Pillow - Small 24" X 12" X 3" from FirstOptionMedical.com provides maximum support and superior comfort for the head, neck, and shoulders. SleepRight Side Sleeping Foam Pillow is made from premium Visco-elastic memory foam, originally developed by NASA. 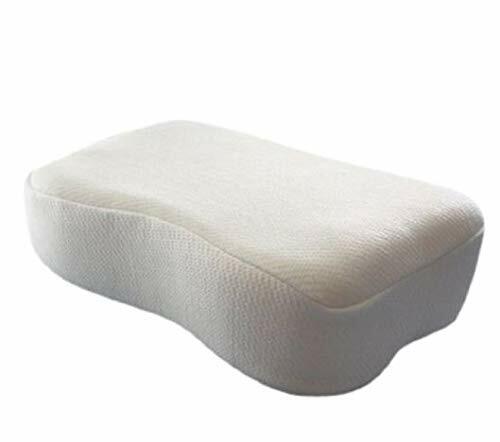 This pressure relieving memory foam is sensitive to body temperature and weight, easily conforming to your own personal anatomy. 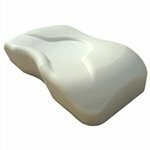 This Sleep Right Splintek Memory Foam Side Sleeping Pillow is 24"x12"x5" in size. The SleepRight Side Sleeping Pillow is the most advanced side sleeping design available. It was developed to help reduce head, neck and jaw tension. The SleepRight Side Sleeping Pillow is used by thousands of medical professionals worldwide. It comes standard with a machine washable, hypoallergenic, cotton velour cover." Note: Pillows are not returnable once removed from sealed packaging. 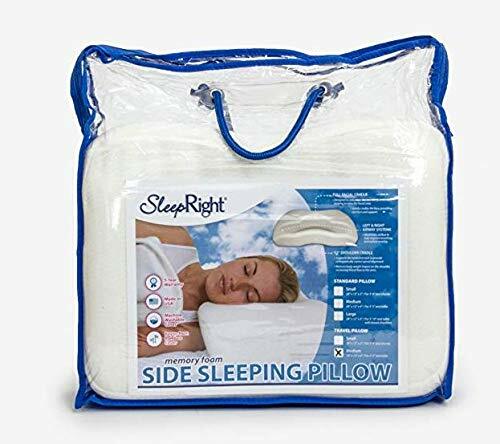 All sales are final on the SleepRight Side Sleeping Pillow. No returns. No exchanges. 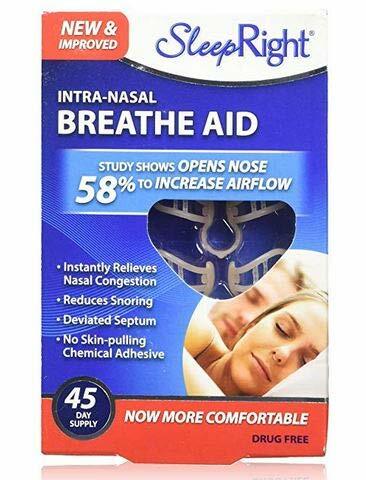 Intra-Nasal Breathe Aid by SleepRight - The best solution for people who want to reduce snoring and alleviate nasal congestion in an effective manner. These nasal aids are reusable and represent the perfect substitute for single-use products serving the same purpose. Designed to open the user's nose very gently to maximize airflow, they require zero preparation steps and don't contain adhesives that could affect your skin. 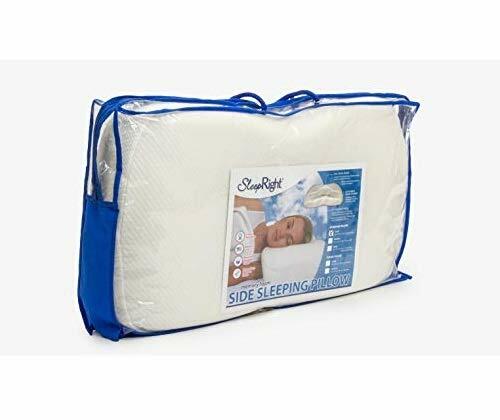 SleepRight Splintek Side Sleeping Memory Foam Pillow SR164PRO 16"X12"X4"
SleepRight Splintek Side Sleeping Memory Foam Pillow SR245PRO 24"x12"x5"
SleepRight Splintek Side Sleeping Foam Memory Pillow SR243PRO 24"x12"x3"
SleepRight Standard Size Side Sleeping Foam Pillow SR163PRO 16'x12"x3"
Size: 20" x 28"20\" x 28\"
Splintek SleepRight Side Sleeping Memory Foam Pillow SR163PRO 16"x12"x3"
SleepRight Splintek Side Sleeping Memory Foam Pillow SR244PRO 24"X12"X4"
Want more Splintek Sleepright Side Sleeping Pillow similar ideas? Try to explore these searches: Door Top Guide, Digital Camera Point, and Paw Bath.